Realm of Horror - News and Blog: Director Mathieu Turi talks "HOSTILE"! 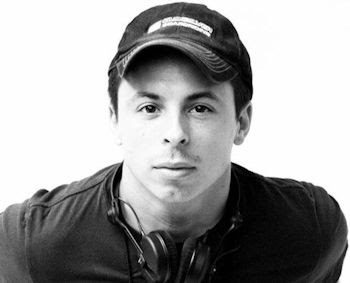 Ahead of the UK premiere of his debut feature HOSTILE at the Horror Channel Frightfest Halloween event, director Mathieu Turi shares his admiration for Tarantino, describes the challenges of filming in three continents and reveals his ‘magic hour’. Q: You were born in Cannes so you grew up with film all around? When did you know for sure you wanted to direct? I think it's always been there. As a child, I used to steal my dad's VHS camera to make mini-movies. They were basically all about my Jurassic Park toys eating my dog or invading the garden. Later, I did more elaborate short films with friends, instead of studying. Then, I remember watching BRAVEHEART and the making of the movie. For the first time, I knew that directing was something I wanted to do for a living. Q: You have been second unit director and assistant director on numerous major blockbusters – SHERLOCK HOLMES 2, INGLORIOUS BASTARDS, G.I. JOE – what was the movie or director you feel you learnt most from? Tarantino, with no hesitation. ‘INGLORIOUS BASTARDS was one of my first jobs in the movie business, and I was assistant of the assistant of the assistant. But when you work on the set of someone you admire, It's very special. I learnt that you have to love what you do, and as a director, you have to stay focused on the actors and the scene. Nothing else matters. Working for Quentin Tarantino was my best set experience as an A.D.
Q: What inspired the HOSTILE script? A lot of stuff. HOSTILE is a kind of mix between my two shorts (SONS OF CHAOS and BROKEN). The first is a post-apocalyptic, very low-budget movie, and the second is a romance in an elevator. And If you talk about exterior inspirations, I would say the main one is I AM LEGEND, the Richard Matheson book. It's my favourite book ever, a masterpiece. I read it twice a year, and it's never the same feeling. Also, I'm a huge fan of the video game THE LAST OF US. It has everything : a perfect story, focused on characters but in an original post-apocalyptic context, with never seen creatures, and the end is magic. I’s love to see a movie adaptation of it, but It would be tricky. Q: HOSTILE was executive produced by Xavier Gens and stars Brittany Ashworth from his new movie THE CRUCIFIXION. Can you talk about his influences and that of recent extreme French genre titles? Xavier is a good friend of mine, and also my mentor since the beginning. He's the one who presented me to FullTime Films producers (Thomas Lubeau, Eric Gendarme and Olivier Chateau) as they were looking for projects. We all met at the Cannes film fest in 2015, and two years later, here we are! He also helped us to find Brittany Ashworth, as he had worked with her on THE CRUCIFIXION. HOSTILE is not influenced by any of them, but I'm very happy that all those movies got made. You know, in France, It's not easy to do that kind of extreme genre movie. Q: HOSTILE builds to a wonderful emotional epiphany. Was the story all about leading to that rare moment in zombie movies? It's the first scene that came to my mind before writing the script, and without spoiling it, it was also the best moment on set. It was just magical - the natural light at that exact time (D.O.P's calls it the "magic hour").The team was speechless, and in my mind, I knew It worked. Often, as a director, you have to wait to be in the editing room to be hundred percent sure a scene works, but for that one, I knew on set. Q: None of this would work unless you cared about the characters, especially Juliette. Did her back-story change through successive drafts of the screenplay? Not complete scenes, but dialogue and actions changed a lot. I'm a very collaborative director with my actors, and I want them to dig into the characters, try stuff, fail sometimes, but always try to go further. And they did, every time. Juliette's backstory has been completed by Brittany. I gave her some intentions, but asked her to find a personal story, why she came to New-York and what happened in the first years of her post-apocalyptic life. We talked a lot about it, very detailed stuff that only her and I know. Actually, we could easily do a prequel about it! Q: We love Grégory Fitoussi in the UK because of the French law and order drama SPIRAL. Was that a reason for casting him as Jack? I really wanted someone with a true charisma. Grégory is one of those guys. He could just walk in the room and you feel it. It's a very rare power. And also, we worked a lot together on the character, to keep his French touch intact, but not fall in the cliché. Jack needed to be very confident, strong and mysterious. He's the entire reason for the flash-backs, so we had to keep in mind that Juliette felt secure with him, and that's what she doesn't have any more in the present. Q: And we also love Javier Botet who seems to be in so many movies at the moment. What did he add to his Living Dead role that no one else could have? Two things: the first is obvious, and that's why he's in all those movies. (REC, MAMA, ALIEN:COVENANT, IT). He has an incredible body, and he uses it like magic. When you see him working, it’s just insane. The movements he performs, the way his thin body moves. He's a piece of art. The second thing: he's a very good actor, and that's vital for that kind of role. You can't imagine how hard it is to express yourself under the makeup. And Javier does it perfectly. Q: Your feature debut; what was the biggest learning curve you hadn’t expected? That you have to sleep an entire month to get back on your feet! More seriously, I would say It was very hard to go from one team to another, as our shoot was only 24 days, in three different continents. So we had the New-York Unit, the Morocco Unit and the Paris Unit, with different crews, productions offices, preps, etc... But on the other hand it has been an incredible adventure, and I had the chance to work with all those amazing people. Q: Will you always stay in horror or is it a stepping stone to other genres? Can you tell us what you’re working on at the moment? 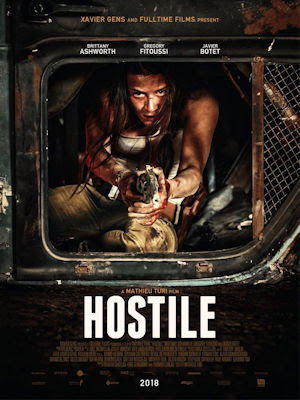 HOSTILE is kind of a two genre movie, I just love to cross lines. But I love horror, sci-fi, thrillers... And I'm working on a very crazy project right now. It should be official soon, but I just can say that it's a sci-fi-fi/horror movie with a unique concept. We are in the casting phase right now, with the same producers at FullTime Films, and we will shoot it next spring. I can't wait to talk about it, and I hope we will see each other again at FrightFest next year to show it! HOSTILE receives its UK premiere at Horror Channel FrightFest Halloween 2017 on Saturday 28 Oct, Empire Haymarket, 12.05pm.